I was looking though the desk drawer tonight and found some floppy disks. It’s hard to believe that the little flash card pictured on the right can hold the same amount of data as 5688 floppy disks. 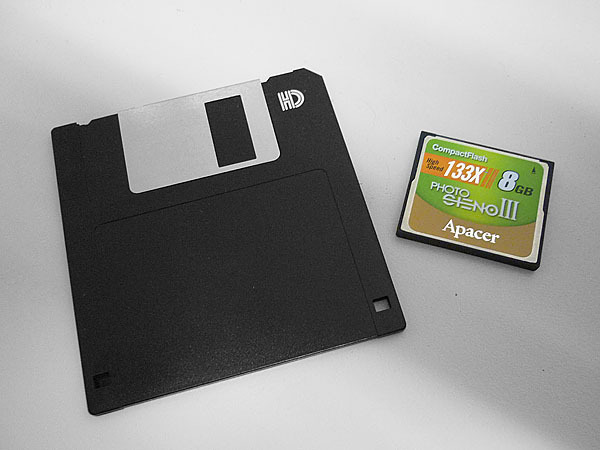 Imagine having to use floppy disk to store all our digital photos!! !